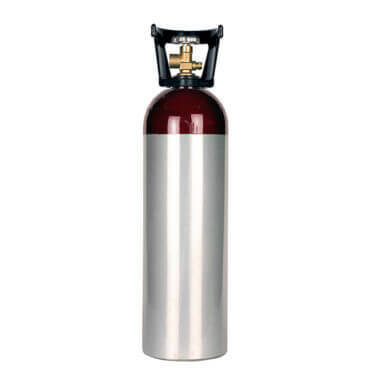 New 60 cu ft aluminum oxygen cylinder. Large capacity in a highly durable, fracture-, tear-, and corrosion-resistant package. Up to 40% lighter than steel cylinders of the same capacity, great at low temps, and guaranteed manufacture or hydro test within 180 days. 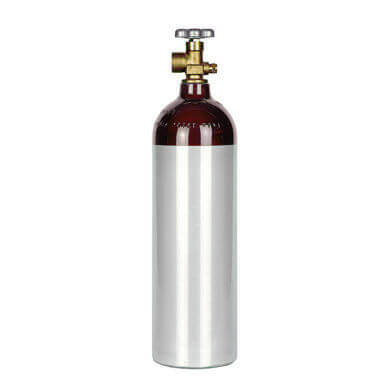 New 60 cu ft aluminum oxygen cylinder with an installed CGA540 valve and handle. Strong and reliable large capacity oxygen tank. Features a high-performance alloy body. 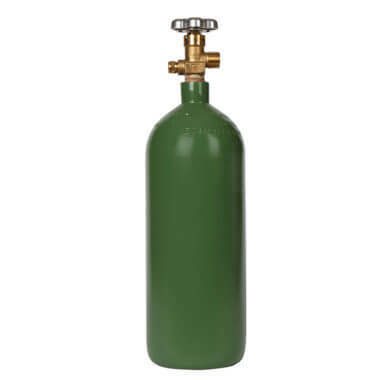 The tank is thick-walled, fracture-resistant, corrosion-resistant, and rust-proof. Corrosion-resistant, thick, durable cylinder walls. Engineered alloy designed for high strength and great low temp performance. 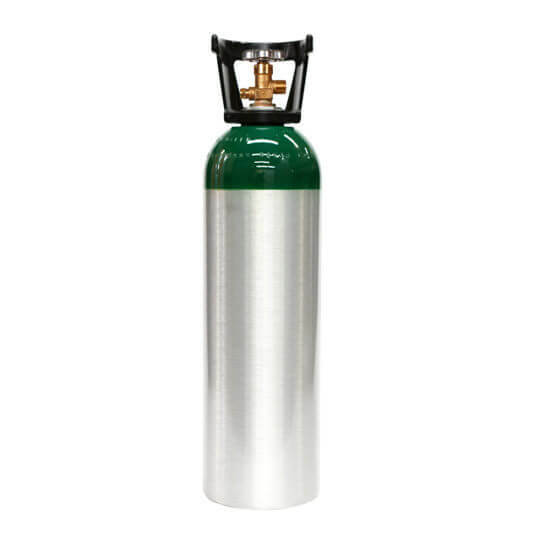 This tank and more oxygen cylinders can be found on our oxygen cylinder page and our medical oxygen cylinder page. Additional Questions? Please see our frequently asked questions page. Still have questions? Email us at support@gascylindersource.com.